When black singer, actor and gay activist Jussie Smollett was allegedly assaulted in Chicago on Jan 29, the act was widely denounced across the political continuum. While those of more measured rhetoric called for the prosecution of those involved, many prominent leftists immediately blamed the incident on a culture of intolerance that, they say, is being advanced by President Donald Trump. Once upon a time, those in the public eye took great care with regard to what they said in public, if only as a point of credibility. Things aren’t always as they appear, and being seen as having rushed to judgment during a media firestorm just doesn’t speak to one’s intelligence. Despite this, very few of those alleging a Trump connection to the Smollett attack exercised such restraint; histrionics ruled the day once this story broke. Now, when the Jussie Smollett story did break, there were some who considered the possibility that the attack had been staged, either by leftist operatives or by Smollett himself, in order to lend credence to the threadbare claim that America is an institutionally racist nation, and that having elected a bigot like Trump proved this. Very few who courted this idea articulated their hypotheses, and those who did were rather low key about it. Why would anyone think that Smollett or the politically-kindred might stage such an attack, particularly considering the prevailing sensitivities in America around issues of race and intolerance in general? Because given the left’s track record, this is precisely the sort of craven, deceitful act that is in keeping with their sinister character. As many are now aware, the Smollett story began to unravel over the weekend when the news of Chicago police examining new evidence connected to the alleged assault came to the fore. It quickly became evident—unless we have a really elaborate conspiracy within a conspiracy here—that Jussie Smollett himself paid two extras from his Fox TV show “Empire” to carry out the “attack,” expressly to gin up racial tensions attendant to the current campaign against the president and his supporters. So let’s say we acknowledge that Smollett is an individual of low character simply because he’s a dedicated lefty. Why would someone who’s secured an enviable position in such a competitive industry court the ignominy of having been beaten up on the street, as well as being condemned as a hate crime hoaxer should his perfidy be discovered? Let not those of us who condemn the left for their summary and cavalier appraisal of others (particularly us) fall short in our understanding of what makes them tick. Once again, we must look to character. Jussie Smollett has been in the entertainment business since he was ten years old, acting in many films such as “The Mighty Ducks” and Rob Reiner’s “North.” As I have attested from personal experience, those who become ensconced in that insular entertainment industry bubble from an early age often become singularly scary people. The tragic lives and deaths of many once-popular child stars stands as testimony to this fact. Those who survive can become even scarier with regard to their worldview and perceptions of themselves. Thus, it isn’t too difficult to see how a popular but perhaps deeply insecure young actor might choose two aspects of his public persona—his ethnicity and his sexual orientation—and qualify them in such a manner as to engender public sympathy. Further, to do so in a way that would advance a favored political agenda. In support of this argument, it is now being reported by news sources in Chicago that Smollett’s motivation for staging the January 29 “attack” may have been the failure of an earlier staged incident to gain the desired media traction. Apparently (according to CBS 2 Chicago), a letter containing a white powder of some sort addressed to Smollett was delivered to a Chicago set where “Empire” was filming just days before the January 29 staged assault. At this point, even some of the prominent lefties who supported Smollett have articulated their disgust with his alleged actions, and I applaud them for this. There are good reasons why our nation holds certain sensitivities around race, and it’s because many good people have sacrificed over many years to improve race relations and conditions for the once-disenfranchised. A spoiled, middle-class puke like Smollett wouldn’t be aware of this, partly because he wasn’t around at that time, and because accurate representations of our history are no longer taught in schools. 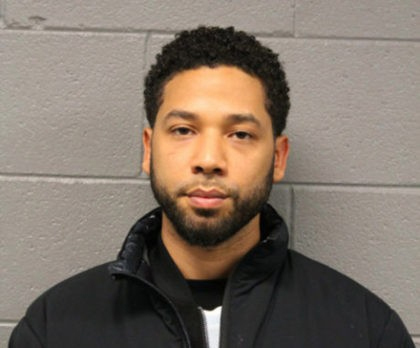 Smollett has now “lawyered-up,” expressing the requisite outrage and mortification through his attorneys and pointing to his further victimization via accusations that he orchestrated the assault. An attack such as the one Smollett claimed had been perpetrated upon him is a serious crime which carries heavy penalties. Fraudulently reporting such a crime is also a criminal offense, with very good reason. The potential for dangerous escalation in the wake of such charges is very real. It has become abundantly clear in recent years that laws, rules and ethics hold no sway over those on the left. Those quaint conventions are for the “little people,” not them. This of course would provide further motivation for Smollett having staged the January 29 incident, but it also gives rise to the question of whether or not he will be held accountable in any manner if he is indeed found to be culpable. While the Chicago authorities and the FBI are said to be investigating the “white powder” letter and the January 29 attack, there’s no telling whether or not these will lead to a just disposition. In the meantime, the producers of “Empire” and the network (Fox Broadcasting) announced this week that they intend to keep Smollett on as a series regular.